In an earlier post I mentioned that the easiest game changer is to paint your walls. The most powerful statement will be accomplished if you paint the walls dark; my favourite hues are grey, blue or green. Even if you don’t want to convert to the dark side (yet… I hope), a carefully chosen hue on the walls will make your room more spectacular. A beautiful duck egg or powdery sage can have a real impact too. As early as the beginning of 2000 I started painting my walls dark. When we moved house a few years ago I thought that a white canvas – leaving the walls unpainted – was the way to go but it didn’t take me long before I moved over to the dark side again! My lamps, accessories, artwork and mirrors on the walls just can’t help but look far more spectacular. As mentioned before don’t let people talk you out of it, there will be a lot of opposition. I remember even having to convince the painter to ” just slap it on the walls” and to stop questioning the darkness of the whole scheme.” I will take responsibility if it doesn’t work out” – I heard myself saying over and over again. If you are having a bad day and are not sure whether you are strong enough to go through with it wait. 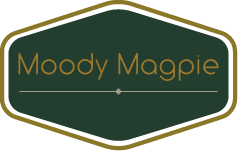 Do it on a day you feel super confident and great about the world and yourself because there will always be someone who will try to change your mind (think husband, father, friend, child, painter, decorator…anyone really). In “design world” opinions vary on the whole dark walls proposition but there are a couple of things definitely frowned upon by some well-known accomplished designers (not all, but quite a few). I am now going to tell you to ignore those rules…. Don’t paint small rooms dark or else the space will look smaller…Please ignore this rule. It isn’t true. In fact try it. Your room won’t look smaller. The perception of the size all depends on the type, position and amount of furniture in the room. If done well your room might even look bigger! In the picture below, you also see a personal favourite of mine – shiny walls. Very glam and gutsy. 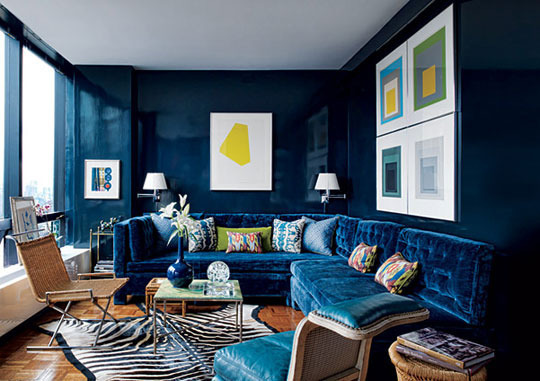 Textures and patterns, and art work and a beautiful blue on the walls and chair – love it! Don’t paint the ceiling in the same hue as the walls as it will make the room look more cramped and the ceiling is more likely to come done on you rather than open up the space….Another one of those myths. Again not true. In fact if you paint the ceiling the same colour as the walls it doesn’t break up the space as much and actually makes the colour scheme easier on the eye and open up the space. Have a look at a couple of favourites of mine. 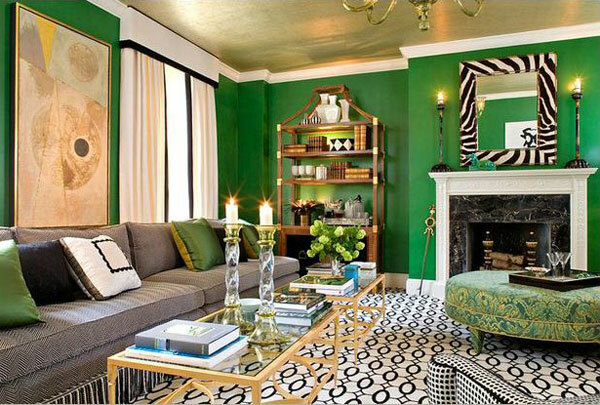 A beautiful green/teal room and how about the daring gold ceilings – spectacular! 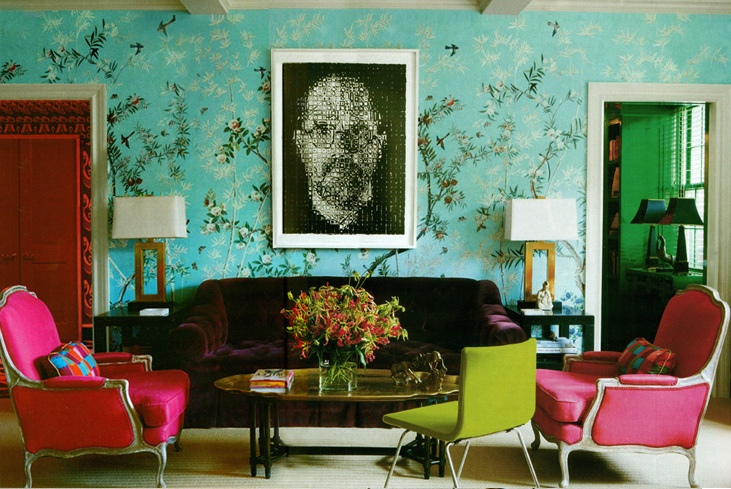 Don’t do feature walls – this is not one of those ‘ or else your room will look…..’ This is just a ‘No No’ in design land. Feature walls are not considered “designery” – weather a painted wall or a beautifully wallpapered one it is just not done. Personally I would say that if you are going to paint the walls – go all or nothing – that’s the kind of gall I am. 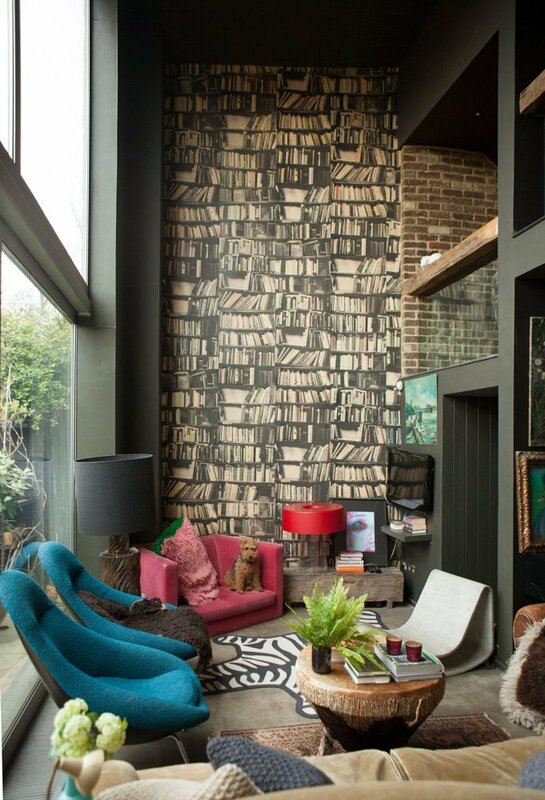 If you are going to wallpaper the room it probably has the biggest impact if you do all walls HOWEVER in my view there is nothing wrong with a real stand-out luxuriously wall -papered feature wall. 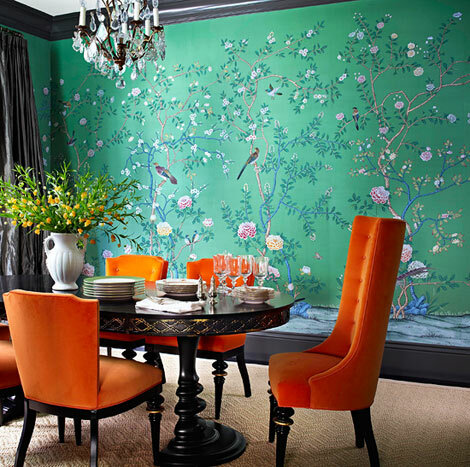 If you go for let’s say De Gournay wall paper your bank balance might just allow you to tackle one wall. There is nothing wrong with that. Another great thing to do is , if you can’t afford all 4 walls or even one whole wall, to buy a panel of the most beautiful silk hand painted Chinoiserie and have the panel framed. Prop it up on a console or behind a nice still life and you will have a beautiful stand-out wall – which will definitely not be frowned upon! 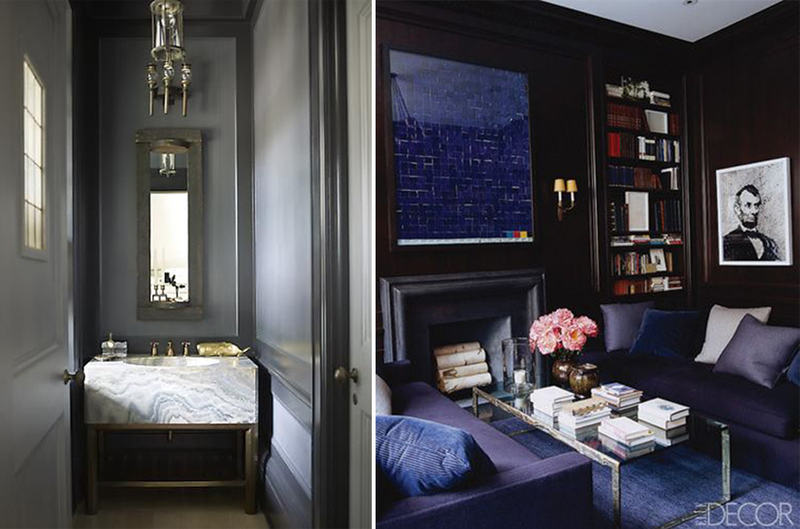 Below some De Gournay examples and an example feature wall of the always rockin Abigail Ahern – who did a bookcase wallpaper. Now how can this all be against the rules?